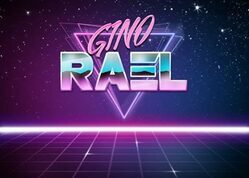 Gino was born in May 1956 in Jaroso, San Acacio in the San Luis Valley, the oldest town in Colorado. · The Colorado State Fair in Pueblo, CO as a solo performer in 1999, 2001 and as a group bandleader for The Reality Band in 2004, 2005 and 2006 and then with The Mighty Nice Band in 2007, 2008, 2009, 2010 and 2011 through Tabor Entertainment. 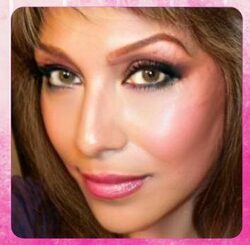 · Directed and Co-Produced and MC’d shows for Tierra, Al Hurricane and Malo, besides opening the events as a solo entertainer. Open shows and performed in Las Vegas, NV for international acts. · Open show at the Hilton in Aurora, CO on New Year’s Eve 1998 for the Latina Miss Teenage Pageant performing the song “Pretty Woman” to a sold out crowd. · Performed as solo artist in 2001 at the Regency in Denver, CO for the Time Life Awards Banquet in the Blue Grand Ballroom. · Performed at the Mariachi USA Festival in 2001 at Adams County Fairgrounds. · Performed at the Cesar Chavez Park Dedication honoring his name and legacy in 2005. · Performed at the Colorado State Fair Fiesta Day Parade 2001. · Performed at the St. Patrick’s Day Parade Downtown Denver 2001. · Performed at the Western Heritage Parade with “The Legends” in Littleton, CO 2002. · Performed for El Grito Celebration Downtown Denver 2004 and 2005. · Performed for the Cancer Fundraiser with “The Legends,” Patsy Cline, Roy Orbison, Elvis, The Blues Brother, Dean Martin and Marilyn Monroe in Brighton, CO for my Uncle Bill Gallegos. 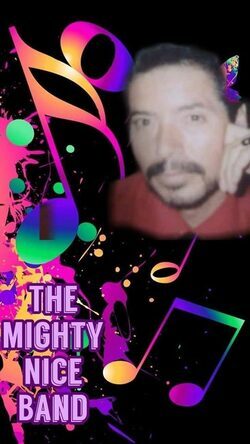 · Performed at the National Karoake Championship at the Doubletree in 1999 in Colorado Springs, CO.
· Performed at the Historic Museum in San Luis, CO with The Reality Band in 2004. · Became a member and signed a Professional Contract with the Art Exhibit Showcase as a solo artist in 1997. · Became a member of The Legends Showcase in 1998. · Became a member of the Colorado Country Music Hall of Fame (CCMHF) in 2004. · Performed at the CCMHF Show at the V.F.W. Hall in Westminster, CO 2005. · Performed live on Radio KGNN in Boulder, CO with The Reality Band 2005. · Performed five tributes to the late Freddy Fender in 2005 with The Reality Band, sponsored by CCMFH, David Peralta (Freddy’s agent) and Mrs. Vangie Huertas (Freddy’s widow) shows were held at the Buffalo Rose, The V.F.W. in Westminster, Stan’s Caravan twice, and at the Greystone Castle in Thornton with Little Joe y La Familia. · Performed at the V.F.W. Hall in Westminster 2006 sponsored by the CCMFH Contest and won 3rd Place and a trophy in the competition as a solo artist in 2006. · Performed live at DCTV in 2006. 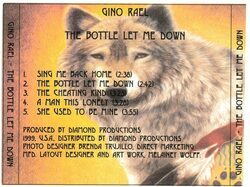 · Released my 1st CD “The Bottle Let Me Down” in 1998. · Performed for the 35th Anniversary of La Voz Nueva 2013 with The Mighty Nice Band. · Performed for Regis University for Cinco de Mayo 2005 and 2006. · Performed for Metro State College at UCD Auraria for Cinco de Mayo in 2009, 2010, and 2011. · Performed for the University of Northern Colorado, Valentine’s Dance on Campus, Greeley, CO in 2010 and 2012 with The Mighty Nice Band. · Performed for the 25th Anniversary Bridgeway to Hope at the Ramada Inn in Lakewood, CO 2009 with The Mighty Nice Band. · Performed on “Live@Lunch” Radio KRFC 2000 in Fort Collins, CO 2009 and 2010. · Performed for The Sons of Italy Car Show at a huge vacant lot with The Legends Showcase 2000 in Lakewood, CO off I-70 & Ward Road. · Performed for the 12th Annual Cesar Chavez Memorial March at Cesar Chavez Park 2013, and also 2015, 2016, 2017 and 2018. · Performed for Cinco de Mayo’s in Fort Collins, CO in 2010, 2011, 2017 and this year 2018 with The Mighty Nice Band. · Performed for Xcel Energy at the V.F.W. Christmas Dance and Banquet in Denver, CO 2013 with The Mighty Nice Band. · Performed for the Military Conference at the Red Lions Hotel 2005 with The Reality Band. · Performed at the Military Conference Banquet 2013 at the Hilton, Aurora, CO with The Mighty Nice Band and Performed for the Isle of Capri Casino and the Monarch Casino in Blackhawk, CO 2014. Also at the Juneteenth Music Festivals, Westminster Latino Festivals and the Thornton Harvest Fest, the 2016 RMPA Music Awards "Sweet Old School" Gala Dance and Concert, the 2nd Annual Federal Heights and Servicios de la Raza Health Fair 2016, the 1st/2nd Annual Colorado Latino Festival 2016/2017, Longmont, CO, the ArvadaFestivals Independence Day Celebration, Arvada, CO, the Isle of Capri Casino and the Monarch Casino in Blackhawk, CO in 2014 and the Multicultural Summer Social, City of Federal Heights 2016/2017, and the RMPA On A Sunday Afternoon, Latin Jam XVII-The Ultimate Jam Session-The Pinto Project 2016 and the Cheyenne Hispanic Festival 2017, Cheyenne, WY. Open show for "Brenton Wood's 50th Anniversary Celebration in Music Entertainment" in 2015 at the Greystone Castle, Northglenn, CO.